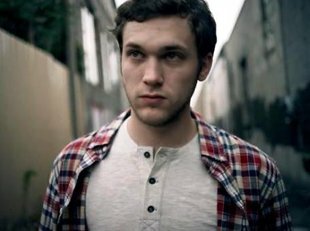 Reigning "American Idol" champ Phillip Phillips, who has a long and well-documented history of kidney stone problems, has postponed the remainder of his college tour due to illness. This sad news was first revealed in a Sundaypress release issued by the University of Wisconsin, Eau Claire; the Season 11 winner was set to perform with special guest Gin Wigmore on the campus tonight (Monday, May 6). But that concert and eight others--including a show in Dublin, Ireland--have been scrapped for now. "Hey guys, due to doctor's orders I have to reschedule my last tour dates," Phillip tweeted on Monday morning, confirming the university's report. "They will be rescheduled! Looking forward to seeing you on Mayer!" However, from the looks of Phillip's upbeat tweet, it doesn't seem like his health issues will affect his big upcoming tour with John Mayer, which is set to kick off July 6--so that's the good news. Phillip has publicly dealt with health problems like this before. He nearly had to drop out of "Idol" Season 11 due to his kidney condition, and he refrained from participating in several of that season's Ford Music Videos so he could rest. During his time on "Idol," he underwent painful surgery to install a stent in his kidney (yet was back on the air just six days later), and his father later revealed toPeople that Phillip underwent no fewer than eight surgeries while he was on the show to remove a build-up of kidney stones. Within days of Phillip's win on "Idol" last year, he endured a six-hour operation to have a kidney reconstructed, which kept him from doing the show's usual round of post-victory promotional activities. However, Phillip was back in shape to embark on that summer's nationwide Idols Live Tour, and he performed like a champ. So here's wishing Phillip a similarly speedy recovery this time around; feel free to post your own get-well wishes in the comments section below.